Here are two chapters from the final section of Norman Mailer’s Oswald’s Tale: An American Mystery, in which Mailer presents his conclusions on the kind of man Oswald was and the elements of his character that made him capable of killing a president — and, most likely, doing it alone. If one’s answer is to come out of anything larger than an opinion, it is necessary to contend with questions of evidence. 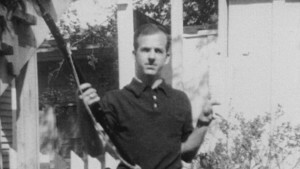 In that direction, however, one encounters a jungle of conflicting expert estimates as to whether Oswald could fire the shots in time, was a good enough marksman, was the only gunman in Dealey Plaza, and on one can go, trying to explore into every last reach of possibility, only to encounter a disheartening truth: Evidence, by itself, will never provide the answer to a mystery. For it is in the nature of evidence to produce, sooner or later, a counterinterpretation to itself in the form of a contending expert in a court of law. MR. SPECTER. Would the use of a four-power scope be a real advantage…? MR. SPECTER. … would a man with Oswald’s marksmanship capabilities be able to complete such a shot and strike the target on the white mark there? SERGEANT ZAHM. Very definitely… With the equipment he had and with his ability, I consider it a very easy shot. MR. SPECTER. … would a marksman of Mr. Oswald’s capabilities using such a rifle with a 4-power scope be able to strike the President in the back of the head?…. One can envision the scene in court if Oswald had lived. The defense would have brought in their expert to testify to the opposite of Sergeant Zahm’s opinion, and much would have been made of the dubious setting of the scope on the Mannlicher-Carcano, since the first riflemen who did tests with that gun for the Warren Commission had to correct the alignment before their shots could even hit a stationary target. MR. FRAZIER. … I think I must say here that this mount was loose on this rifle when we received it. And apparently the scope had even been taken off of the rifle, in searching for fingerprints on the rifle. So that actually the way it was sighted-in when we got it does not necessarily mean it was sighted-in that way when it was abandoned. Arguments in court about that scope would have produced a classic dispute between experts. These are, however, relatively simple matters. But when we come to the Warren Commission’s theory of the magic bullet, we are entering the technology of ballistics, and that is a wasteland for those who are not forensic experts, and the best people in forensics — it is a foregone conclusion — will also disagree. So this work is not going to concern itself with ballistics. If one were a lawyer, one would wish to demonstrate that the odds against a single bullet passing through both Kennedy’s and Connally’s bodies (thereupon to emerge long enough to smash Connally’s wrist before finally coming to rest in his thigh, and be the same bullet that was found, on examination, to be hardly deformed by its journey) must be, as odds, a 500-to-1, or even a 5,000-to-1, shot. One could probably assemble a dozen experts to say as much. Then, it would be up to the prosecutor to advance the counterargument, supported by his experts, that each bullet, and the wound it causes, has an inter-relation as unique as a fingerprint or a signature; indeed, it is recorded that on one occasion a bullet struck a man’s brow at such an angle that the bullet traveled completely around his head between scalp and skull, making a full circle before it chose to exit near the entry point.1 One can try repeating that shot! By the logic of such an argument, the proof of the magic bullet is that it happened. One cannot introduce the odds after the fact. So would go the rebuttal. It is the same with Oswald’s marksmanship. He is judged by various people, depending on the needs of the ax they grind, to be a poor rifleman, a fair one, a good one, or virtually an expert. Much the same has been stated about the difficulty of the shot itself. It has been estimated to be everything from as easy as Sergeant Zahm has testified to nearly impossible. Such a debate is, however, moot. A rifleman can fire with accuracy one day and be far off target on another. Why should we ascribe any more consistency to a man with a gun (in the equivalent of combat conditions) than we would expect from a professional basketball player whose accuracy often varies dramatically from night to night? Moreover, we are dealing with Oswald. We have seen him become hysterical on one occasion and, on another, be the coolest man in the room. If we have come through the turnings of this book without comprehending that the distance between his best and worst performance is enacted over a wide spectrum, then we have not gained much. The point is that Oswald, at his best, was certainly capable of hitting a moving target at eighty-eight yards on two out of three shots over five and a half seconds even if in Russia he could not drop a rabbit with a shotgun from ten feet away. We need only compare his performance in New Orleans on the radio with Stuckey to the incapacities demonstrated by his worst dyslexia two weeks later — or, for that matter, his hysteria before the KGB in Mexico to his calm during interrogation by Captain Fritz in Dallas at police headquarters. So, the real question is not whether Oswald had the skills to bring off the deed but whether he had the soul of a killer. Yet, the formulation is too simple. It could be said that everybody alive is, potentially, under sufficient stress, a murderer, a suicide, or capable of both. Phrased more closely, the question becomes: Would Oswald, pushed to such an extreme, have the soul of a killer? If one’s personal inclinations would find Oswald innocent, or at least part of a conspiracy, one’s gloomy verdict, nonetheless, is that Lee had the character to kill Kennedy, and that he probably did it alone. This conclusion now stated, one must rush to add that a good lawyer in a trial venue outside of Dallas might well have gotten him off — ridicule of the magic bullet would have drilled many a hole through the body of evidence amassed by the prosecution. Besides, no one can be certain that our protagonist was not only the killer but was alone. The odds in favor of one’s personal conclusion can be no better than, let us say, 3 out of 4 that he is definitively guilty and the sole actor in the assassination. Too much is still unknown about CIA and FBI involvement with Oswald to offer any greater conviction. There are, for example, other possibilities to be remarked upon. While one is certainly not going to enter the near-impenetrable controversy in acoustics that would prove or disprove whether a fourth shot was fired from the grassy knoll — delineation of character, not exposition of soundwave charts, is the aim of this work! — one would not be surprised that if there was indeed another shot, it was not necessarily fired by a conspirator of Oswald’s. Such a gun could have belonged to another lone killer or to a conspirator working for some other group altogether. When the kings and political leaders of great nations appear in public on charged occasions, we can even anticipate a special property of the cosmos — coincidences accumulate: All variety of happenings race toward the core of the event. It is not inconceivable that two gunmen with wholly separate purposes both fired in the same few lacerated seconds of time. All the same, none of that conflicts with the premise that Oswald — so far as he knew — was a lone gunman. Every insight we have gained of him suggests the solitary nature of his act. Besides, it is too difficult, no matter how one searches for a viable scenario, to believe that others could have chosen him to be the rifleman in a conspiracy. Other amateurs, conceivably. 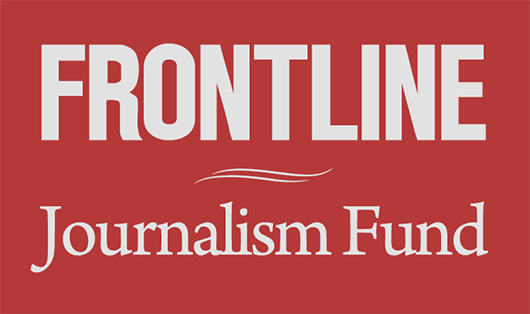 But not professionals. Who would trust him to hit the target? Any concerted plan that placed Oswald in the gunner’s seat would have had to have been built on the calculation that he would miss. That, indeed, was the thesis of the CIA men in Don DeLillo’s fine novel Libra. Indeed, it is not wholly implausible: Great damage will be done to your political enemies if the deed you designed appears to be their conspiracy. Still! It is even more difficult to organize the aftermath of a planned failure than to do the deed and escape. We have come then, to the last set of questions: Why did Oswald choose Kennedy? Every account of his sentiments by every witness who recalls his occasional remarks about Jack Kennedy agrees — that rarest of phenomena for evidence — agreement! There is whole consensus that he saw JFK as, relatively speaking, a good President, and he liked him. Or so he professed. 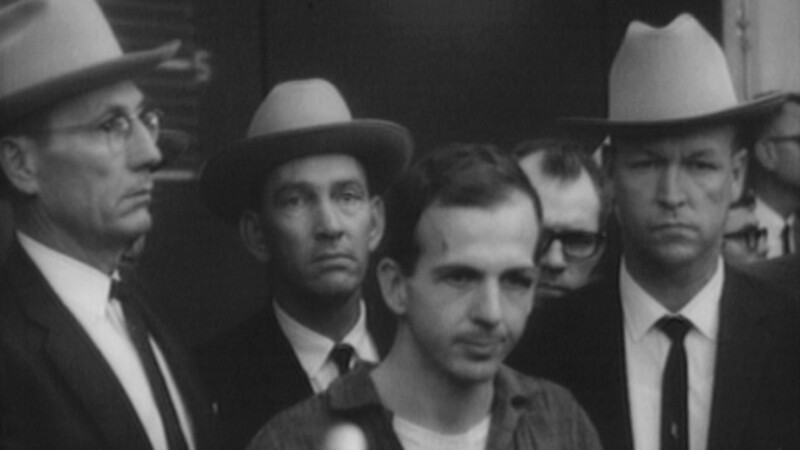 Given Oswald’s reflexive impulse to lie at the drop of a hat, one could question whether he was not paying lip service precisely to conceal any hint, especially to Marina, that he had such a project of assassination already in his mind. Given the absence, however, of any opportunity in Dallas or New Orleans to be close enough to the throne to commit such an act until the last couple of weeks in November, the more reasonable assumption is that he probably did like Kennedy as much as he could approve of a conventional politician but that, finally, such sentiments had very little to do with his act. He would not be shooting at Kennedy because he liked him or disliked him — that would be irrelevant to the depth of his deed. The focus has then shifted. Recognizing that one only argues this point in the likelihood that Oswald is guilty rather than as a found conclusion, what then happened to be the real intent of his deed? The answer speaks out of our understanding of him: It was the largest opportunity he had ever been offered. The assassination of a President would be seismographic in its effect. For Americans, the aftershocks would not cease for the rest of the century or more. Yet he would also be punishing the Russians and the Cubans. They would suffer side effects for decades to come. But then, he was above capitalism and he was above Communism. Both! He had, as he would have seen it, a superior dedication, and the potential of a man like Lenin. If we know that he had none of Lenin’s capacity to achieve large goals both philosophically and organizationally, Oswald did hold an equally intense belief in that fabulous end which would justify all his quotidian means. His deepest despair had to arise in those moments when he could not see himself any longer as the key protagonist in forging a new world. I wonder what would happen if someone would stand up and say he was utterly opposed not only to the governments, but to the people, to the entire land and complete foundation of his society. Kennedy had the ability to give hope to the American ethos. That was, therefore, cause enough to call upon “brutal determination in breaking down incurable tumors.” Kennedy was not, as American Presidents went, a bad President; therefore, he was too good. In the profoundest sense, as Oswald saw it, he had located the tumor — it was that Kennedy was too good. The world was in crisis and the social need was to create conditions for recognizing that there had to be a new kind of society. Otherwise, the malignant effects of capitalism, added to the Soviet degradation of Communism, were going to reduce people to the point where they lost all will to create a better world. An explosion at the heart of the American establishment’s complacency would be exactly the shock therapy needed to awaken the world. It is doubtful that Oswald wanted to debate such a question with himself. He may well have possessed an instinct that told him he had to do something enormous and do it quickly, do it for his own physical well-being. The murderer kills in order to cure himself, which is why murder is properly repudiated. It is the most selfish of acts. McMillan: … the uncanny selection of a route that would carry the President right under his window could mean only one thing. Fate had singled him out to do the dangerous but necessary task which had been his destiny all along and which would cause him to go down in history. to deal capitalism that final, mortal blow[?] And he would strike it not at the right nor at the left, but, quite simply, at the top. It had become his fate to decapitate the American political process. He was history’s chosen instrument. The point absent here from Priscilla Johnson McMillan’s interpretation is that after the assassination, Oswald had a choice. He might not only be the instrument but the leading man. That presented a new conflict — to be the instrument of history or the leading man? The latter could occur only if he was captured and stood trial. If he succeeded in the act but managed to remain undiscovered, obscurity would be his lot again. He had learned as much from his attempt on Walker. Capture, however, would guarantee him a very high level of attention. And if he was convicted, he had the temperament to live alone in a cell; he was more than half habituated to that already. He could even view his life up to this point as a preparation for spending many years in prison. Indeed, it may even have been the thought of his trial that fired him on. What a podium! Such a trial could alter history, stimulate the stupid, rouse the lethargic, confound the powerful. So he had to feel divided between his desire to escape and his recognition that capture, trial, and incarceration might generate a vastly larger destiny. His personal attitude toward Kennedy had little to do, therefore, with his act. In war, one may execute a man for whom one feels respect or even personal affection; Oswald saw it as an execution. One mighty leader was going to be dispatched by another high and mighty personage — of the future. The future would preempt the present. If he failed to escape, well, he could tell his story. He could becloud the issue and possibly be acquitted, and if it came to twenty years of prison, he would be able to forge his political agenda — even as Hitler, Stalin, and Lenin had done. Should he face capital punishment, then, at the least, he would be immortal. He would take care of that at his trial. He would expound his ideas. What he may never have taken into account is that the furies he set loose would devour him before he could utter one idea. The first element in the loss of an heroic trial became the four shots he fired into Tippit. There can be little doubt that he panicked. As soon as he killed Tippit, the mighty architecture of his ideology, hundreds of levels high and built with no more than the game cards of his political imagination, came tumbling down. He knew Americans well enough to recognize that some might listen to his ideas if he killed a President, but nearly all would be repelled by any gunman who would mow down a cop, a family man — that act was small enough to void interest in every large idea he wished to introduce. By killing Tippit he had wrecked his grand plan to be one of the oracles of history. Now he had to improvise a defense: I’m a patsy. It may never have occurred to Oswald that the obfuscation and paranoia which followed the assassination of Kennedy would contribute immensely to the sludge and smog of the world’s spirit. Oswald may never have read Emerson, but the following passage from “Heroism” gives us luminous insight into what had to be Oswald’s opinion of himself as he sat on the sixth floor waiting for the Kennedy motorcade — he was committing himself to the most heroic deed of which he was capable. It would have wounded Oswald to the quick if he had known that history would not see him as a hero but as an anti-hero. He went off to work that last morning, leaving the dregs of instant coffee in a plastic cup, and in two days he ascended to the summit of our national obsessions — he became our First Ghost. Oswald owned all the properties that belong to a ghost — ambition, deceit, a sense of mission, and the untold frustration of an abrupt death just as a long-held dream of personal prominence is about to unfold. Can there be any American of our century who, having failed to gain stature while he was alive, now haunts us more? MR. PIC. Well, sir, ever since I was born and I was old enough to remember, I always had a feeling that some great tragedy was going to strike Lee in some way or another… In fact, on the very day of the assassination I was thinking about it when I was getting ready to go to work … and I figured well, when he defected and came back — that was his big tragedy. I found out it wasn’t. 1 Author’s November 1993 conversation with Dr. Robert Artwohl, head of Emergency Services, Union Memorial Hospital, Baltimore, Maryland. 2 One is, of course, assuming that it was Oswald’s Mannlicher-Carcano that was used in the assassination. 1 Ralph Waldo Emerson, The Complete Essays and Other Writings of Ralph Waldo Emerson, p. 253. One must apologize to Emerson, a great writer, for presuming to invert his second paragraph by placing it above the first.